Kisha Camacho opened Up Hair Artistry Salon on SE 47 Terrace last summer. But she’s worried construction on the 47th Street project will leave her losing money. “For clients that are already coming in, they’re not gonna want to go around obstacles…. it’s gonna but a big toll on businesses completely,” she said. The nearly $17 million project is set to start the week of January 29—going block by block down SE 47th Terrace, from Coronado Parkway to Del Prado Boulevard. It’s a project the city has talked about since 2016. 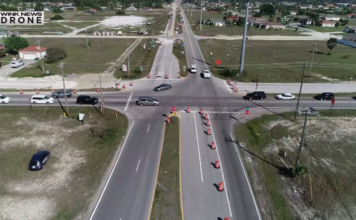 Construction will add a roundabout, wider sidewalks and upgrades to lighting and sewage. 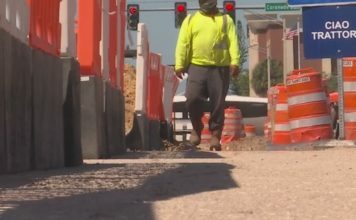 And while business owners like Camacho are excited about the end result, she fears the expected year-long construction will turn away customers. “That’s the main thing, where are we going to park? And that’s the question nobody can seem to answer… so we’ll have to wait and see what happens,” Camacho said. For those businesses, there will be detours and limited access at some parts in the construction area.